Welcome to Benchrest Stocks, a division of Turner Customs. If you are here out of interest of the CMP/Silhouette style stock, great! The prototype has been sent to a couple of silhouette matches and CMP Nationals and is being received very, very well. My machine is currently being upgraded and after that process is complete and I’m caught up on a few items, the next rendition will be carved and hopefully normal production later this year. If you’re interested in the stock or have any input, please do not hesitate to contact me. It might seem a little odd to not have Turner Customs as the site name, but that will come in time. This is the first step in the rebuilding of Turner Customs after having shut the business down in 2008 to care for my wife. Please read the Who I Am page and you will have a better understanding of how we arrived here! 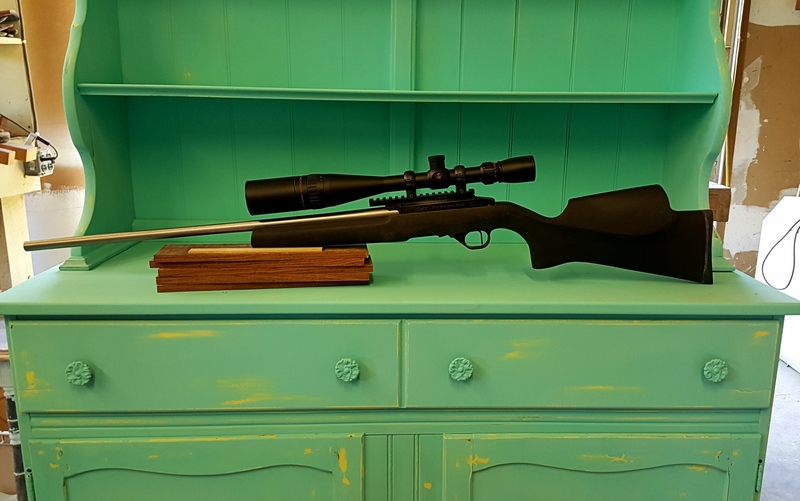 While the title of this site is Benchrest Stocks, we will be showing other types of products as time allows and as the development of additional products are added to our product list. We have several new, never before seen products in the queue to release as time permits. While benchrest stocks are offered, that’s not all that’s available. Rifle stocks come in many shapes and fashions. Sporter style stocks are designed as well and sometime this year we will also be re-introducing the original Barracuda. Lots of surprises coming, so check back often. Please note we also have a blog page and welcome your comments. Feel free to contact me below if you have any questions or feedback or any interests at all! A proud sponsor of Rimfire Central.